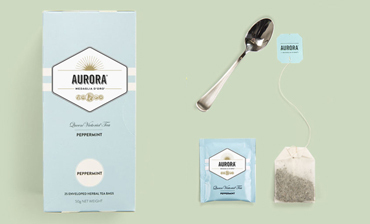 Aurora Tea is a young, fun loving range with a premium look and feel set at an affordable price point. 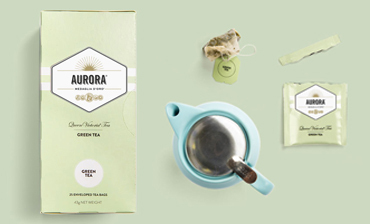 Each blend has helpful and quirky tea making hints to enhance your tea experience. 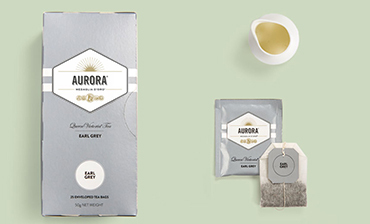 Aurora Tea is exclusively produced & packaged in one of the most modern tea-packaging plants in Europe with over 100 years’ experience. Based in Germany master blenders & tea tasters adhere to stringent quality management and continuous innovation ensuring the finest leaves are blended to perfection from classic black teas to herbal infusions. A rich blend that stimulates the senses allowing you to embrace the day. Despite the blend's name, the cup is still delicious when savoured after breakfast. A fragrant and aromatic blend with a taste of citrus. 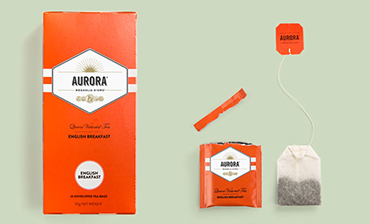 Named after a UK Prime Minister, this tea boosts the energy levels of politicians and the like. A tranquil, light and delicate tea. Originating from China thousands of years ago, this cup with invigorate and cleanse the senses. Spice things up with this zesty yet warm blend. 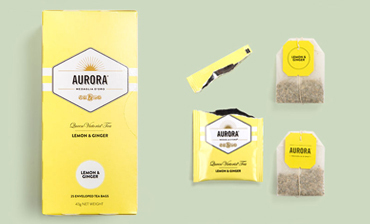 Lemon & Ginger is the perfect pairing to brighten up your day. Best served without milk and an upbeat attitude. A deliciously fresh and light tea. The peppermint works overtime assisting digestion after meals. Leaving you with a fresh minty feel.